How to Create a Coupon Website In a Day? The evolution of commerce is amazing, isn’t it? Marketing relationships came a long way from trading the products directly from its maker or grower to the customer who needs that product for himself, to the modern eCommerce. And electronic commerce has also gone far from the simple online stores to the current state, where almost anyone can create a specialized website and start gaining money. Two simplest ways to start a little online business is dropshipping and coupon websites. I’m not going to talk about the drop shipping sites – one way or another they still make you deal with the real products. Instead, I would like to tell about the pure electronic commerce, that operates electronic products only, the coupon websites and the simplest way to create them – coupon WordPress themes. But let’s discuss one theme at a time and start with the basics. What, actually, is a coupon website? In simple words, the coupon site is a platform where different brands could promote themselves. It is an advertising website that gathers a big amount of offers from different businesses and shows them to visitors. All the users are encouraged to subscribe for the site and the automatic system creates a set of all offers the concrete user could be interested in. That convenient listing is afterward sent to the customer’s email as a weekly report. A collection of offers is gathered according to the products the client was seeking on the coupon website. Every time some user likes the offer and goes to the product’s site to buy it – coupon website owner gets some part of the money the merchant earned from that deal. The common items on the coupon sites are offers that give the user a discount on some products. The user can look at the short description of the product and know a few important details: the size of the discount, the cost of the coupon and the time when that concrete offer is expiring. For example, take a look at these coupons of Ellos Swedish company on PromoCodius coupon site. Every item shows the amount of discount, the short description, the expiration date and has a button that will lead the customer to the Ellos website page, where the conditions of the offer are shown. The website works just the same for all USA, Denmark, Finland, Spanish and Swedish shops that promote themselves on the PromoCodius coupon site. So, if your coupon website will be successful you will be able to work with stores all over the world without thinking about storage, shipping, and delivery. As I said – coupon websites are pure electronic commerce platforms. However, let’s move step by step. You can gather on your website the coupons for, literally, everything. But that would be really wise to start with a single niche. It will help you to learn how the things are working and, besides that, focusing on some sphere will make it a little easier to make your coupon site visible at the beginning. It is much simpler to promote in one focused niche, than in a bunch of different ones that are not connected to each other. 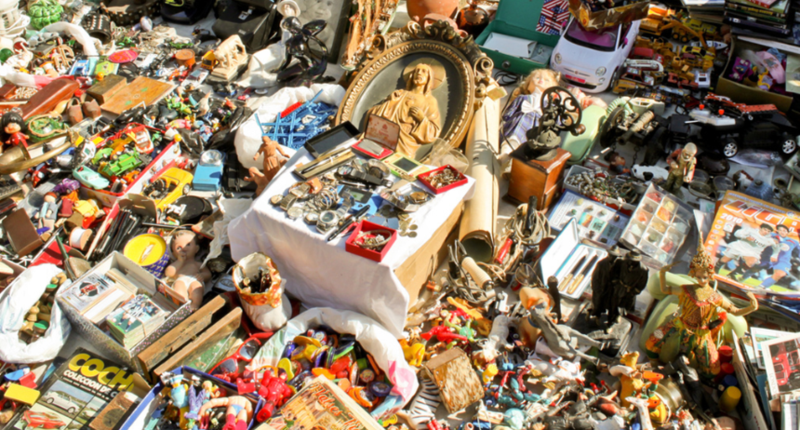 To start, define the niche you understand the best, like clothes, software, education or cars. Then do a little research – know what people are buying most in your chosen niche and go through the websites of the most popular brands. Knowing that details will help you to overcome the rest of the steps faster. Websites have to be stored somewhere, that’s why you will need a hosting and a domain name. Hosting is a place where your site “lives”, a kind of virtual storehouse that contains a huge amount of websites. There are some free hosting services, but they are not really reliable and could badly affect the security and loading speed of your coupon site. I would strongly recommend buying a plan on some reliable hosting like Bluehost, InMotion or other solid and popular one. They are not very costly, so purchasing a subscription won’t harm your budget. Besides that, paid hosting services often give you a domain name for free after you create an account. Domain name is a short letter code at the end of your website’s URL (like .com or .org). A website template is a go-to tool for every website creator. It is a set of pre-made pages and instruments you can quickly install to your WordPress and after a little customization, the website will be ready in about an hour or so. There exist templates for almost any purpose you can think of and of course, there are coupon website templates. Lots of companies create Elementor templates to support the beginners, but it will take time to find precisely the template for a coupon website. Besides that, they often are not so attractive as the premium ones and don’t have all the functionalities the paid version has. However, if your budget is very small, a free theme could be real salvation. If you decide to seek for a professionally built high-quality coupon website template – go through the TemplateMonster marketplace. There are dozens of WordPress templates and you will have a wide selection to choose from. 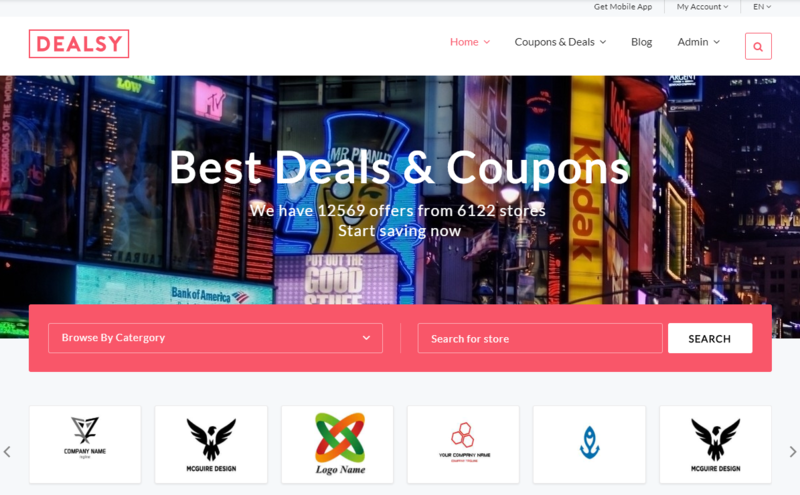 For example, take a look at Dealsy coupon WordPress theme. It is bright, accurate and contains all the blocks a coupon website needs, so you won’t have to search for some additional plugins and extensions. It is optimized for SEO and supported 24/7 by the best tech support team on the market. In a word, this template is great, if you are not sure what variant to choose – take Dealsy. When you found and downloaded the coupon site template of your dream – install it to WordPress. That’s very easy, just go to Appearance > Themes and press the “Add new” button. Then hit the “Upload Theme” and pick the .zip folder with the template. Pay attention, it has to be a .zip file only, otherwise, it won’t be installed. When the installation process is over – your website is almost done. Do the light customization so the theme will fit your taste perfectly. When you finish customizing the details you will have to fill the website with content and coupons. I guess it will the part that will take most of the time. You will have to contact the companies which fit your niche and get the coupons from them. There are several types of such cooperation, some companies will set a constant revenue you will get from every purchase, the others will just rent a space to place an advertisement or offer. Read the agreement carefully, and make sure you understand how that all works. There’s a little trick to save you time and efforts is to register on affiliate deals aggregator, for example – FMTC. They gather affiliate programs and offers to the one place where you can easily find them and copy them to your own website. It won’t take more than an hour to fill your coupon website with its help, but it will demand some money. There is a free subscription for a single merchant (who you, definitely, are), but a premium one will cost you $50 per month. However, it could be worth it, if you want to start really fast. That is all, folks. You have your coupon website, you can launch it and start growing audience and promote it in social media. I would recommend you not to always be in touch with the companies you are working with and monitor new changes and opportunities. If you will be fast, accurate and attentive – you will quickly expand the business to other niches and abroad. So, I wish you luck and high traffic on your way to success! Previous: Previous post: Plain Text vs. HTML Email Templates: What’s Best for Marketing?